This post is late, my apologies to Love, Bites & Silks and to Kiru Taye. No excuse, I simply forgot...sorry! 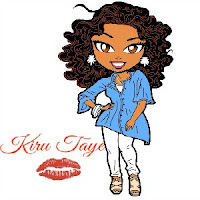 Please welcome Kiru Taye back to our blog. You've seen her books reviewed here plenty of times and I enjoyed them all, today I got a chance to ask Ms. Kiru a couple of questions about her newest book Kola. Hi Kiru! 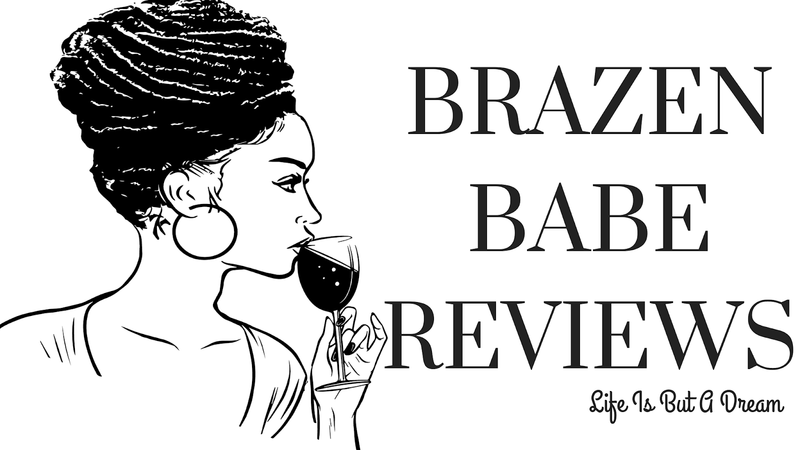 And thank you so much for talking to us here at Brazen Babe Reviews :). Okay, first can you tell us something about Kola that isn't in the blurb? Kola was an orphaned boy in a street gang before he was adopted by Chief Essien. He's been in love with Tari, his pseudo-cousin since she was a teenager. Intriguing! Kola gets his own story, I loved this because he was such stand out character in the Essien Brothers trilogy. Was he always going to get his own story? Yes! The truth is I started writing Kola's story after I wrote the first draft of Felix's story, even before I wrote Mark's or Tony's stories. 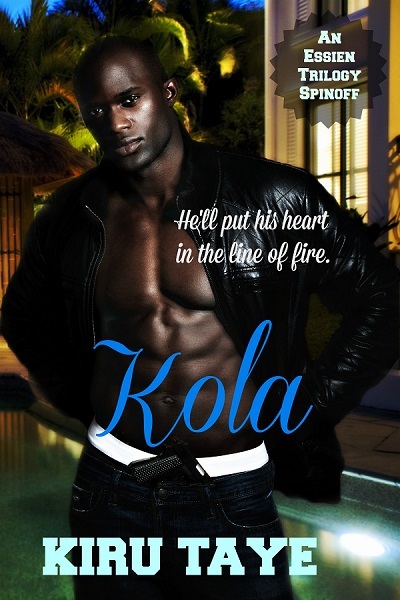 Kola has always been a vivid character living in my head and his story needed to be told. What can we expect from Kola and his love interest? 'Chaos to order' is the phrase that comes to mind when I think of Tari and Kola together. The two of them set off all kinds of fireworks in the bedroom and out of it. Oh! I love a lil chaos, lols. After Kola, can we expect more stories to come out of the Essien world? I love how much the readers love the Essiens and I've been asked to write a story for Freddie and even for the parents. There's definitely a story for Freddie in the pipeline and we may well see more Essien stories. Let's hope my muse agrees. A majority of your stories are set in Africa, which I totally love btw. Will we ever see a Kiru story where the characters are say set in the states? It's a possibility. I love New York so much I'm sure I'll write a story set there one day. I love the fact that you write stories in different sub-genres of romances. Does this reflect your reading taste? What is a good writing day for you? and if any, a bad one? It's a good writing day when I accomplish the goal I set out that day. I don't write every day but on a good day I could easily write 5000 words. The best days will have to be when I get feedback from readers about my book they've just read. It motivates me to write more. As for bad days, well sometimes stuff happens that screws with my head and I have to take some time out and just chill. I read or watch movies and then I get the spark back and return to my laptop and start writing again. Tell us something about you...anything :D? And finally, what would you like for readers to take away with them after they've read one of your books? I'd love readers to feel two things. One: to be totally entertained. To get that rush of excitement from reading a great book. Two: to learn something new and positive about Africa and Africans. We are just like everyone else in the contemporary world. Thank you so much for having me on your blog, ladies. I will have a review for Kola shortly, make sure you stop back by and check it out. I am expecting a very hot read! I'm all excited. In the meantime, I highly recommend you check out her work. She writes in bit of everything, so there is something for everyone with a Kiru story.